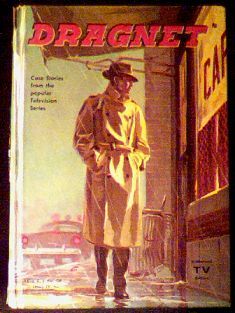 Whitman tv adventure novel featuring the ultimate cop, Joe Friday, and his first partner, Frank Smith. Book has some minor wear and cellophane loss near the edge of its spine, but overall very nice. Friday and Smith? Just doesn't sound right, does it? Website design and hosting by Sohodojo Business Services. Item 6 of 466 items displayed in viewer. 0 items in cart.